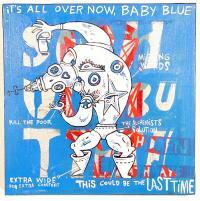 Closing Reception This Saturday at Azure Salon 6:30-10:00 pm wine and refreshments will be served. August 7th show of my recent Zombie works at Ad Hoc Art in Brooklyn, time for all my NY homies to make me feel at home, come on out and celebrate! My artwork is featured on the cover of the current issue of Studio Potter! Check it out here. Video in My Backyard recently did a video segment on my show at well space gallery in Oakland, CA. 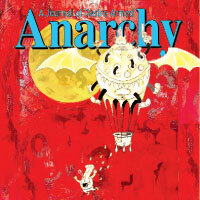 My piece, "american dream, empty basket" is featured on the cover for the current issue of Anarchy magazine. 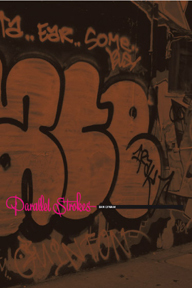 Ian Lynams book about graffiti and Typography "parallel strokes" is out now. I have a featured interview in it- a must have for anyone interested in the crossover of graffiti and typography. out now on Daly City Records! My track "speak the slang" is featured on the comp. Get yours today! I was chosen as a featured artist on Jewcy.com, a New York arts and culture blog. Take a moment to check them out. Thanks!.